If you search for “Marketa Slukova” in a search engine, you will most probably stumble upon several nice videos, most of them referring to Marketa’s looks. If you stop your search and don’t keep on digging, you might oversee the fact that Marketa Slukova is the most successful beach volleyball player in Czech history. Marketa won several FIVB gold medals (Prague Open 2014, Berlin Grand Slam 2014, Antalya Open 2015) and ranked 5th place at the 2012 Summer Olympics in London. She was named the FIVB World Tour Top Rookie in 2010. 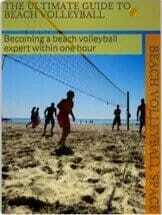 How can one excel in a country that is not necessarily known for its long beach volleyball tradition? Marketa originally got started with gymnastics when she was 4 years old. It helped her in building major basic skills of body movement, agility, self discipline and commitment. At the age of 10, she started with volleyball classes and played indoor until she moved to the beach with 18. Since moving to the beach, she has been competing at top level for many years. During this period, Marketa has been quite consistent in terms of teammates. She has been playing with Kristýna Kolocová for more than 10 years before teaming up with Barbora Hermannova in 2015. Compared to other players (e.g. from the U.S. or Brazil), Marketa isn’t changing teammates each and every year. Only if you both partners feel right away that it is not a good match, you should move on quickly. On their way to making success more consistent, they participated at the Huntington Beach event beginning of May. The event was organized in cooperation between AVP and FIVB with the so-called “double-elimination system” which eliminates a team only after losing twice. Marketa will be playing at the FIVB 4-star in Ostrava (Czech Republic) this week. If you want to find out more about her schedule for this season, go to Marketa’s and Barbora’s team page. I don’t know much about beach volleyball other than it is sure fun as hell. Much respect for being able to maintain just 2 partners over the years compared to others who seem to have a new one each year. Reach for your goals! True. Consistency and focusing on your long-term goals seems to be a good strategy! Sounds like an amazing competitor, would love to watch her live some day. Seems like she’ll be tough to beat, thanks for sharing! I do not know much about beach volleyball… however, I have seen a few games from the Olympics and it is definitely a fun sport to watch. How tall is Marketa? From these photos she looks incredibly strong. Is she blocking or her partner? Marketa is defending and Barbora blocking. Both are 180 cm which converts to 5’11”.